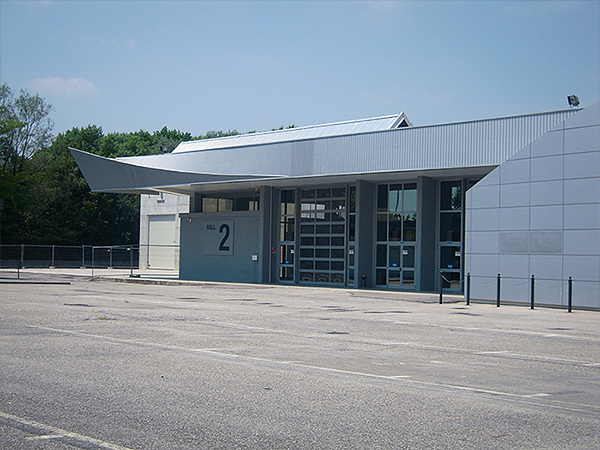 9 halls with up to date equipment and an external multifunctional area. 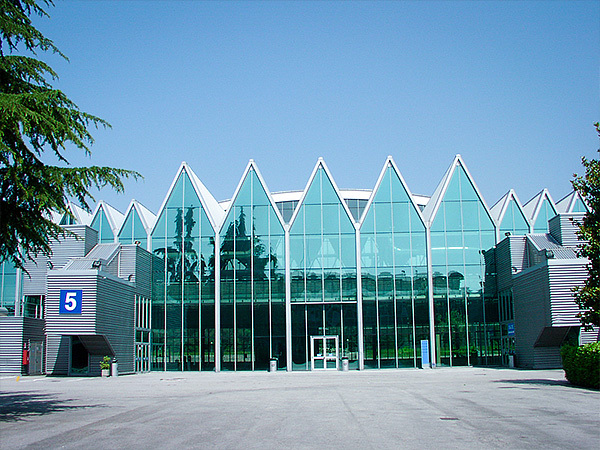 The Pordenone Fiere exhibition venue occupies a total area of about 70,000 square meters. 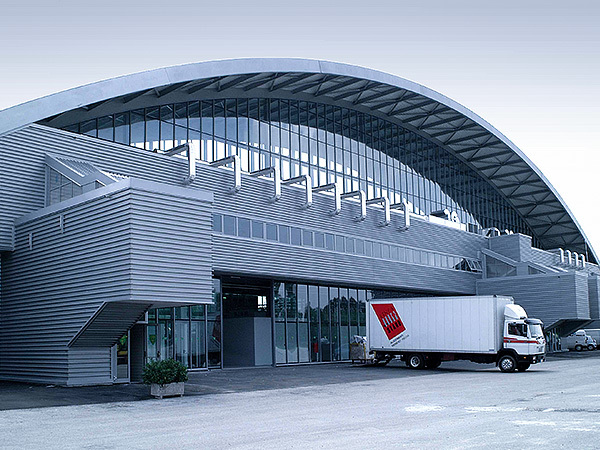 The covered exhibition space, which extends to 30,000 square meters, consists of two monoplanar blocks with 4 single-layered halls each, recently built, equipped with the latest technological equipment, overlooking a large multifunctional central pavilion of 4,000 square meters, monoplanar as well. 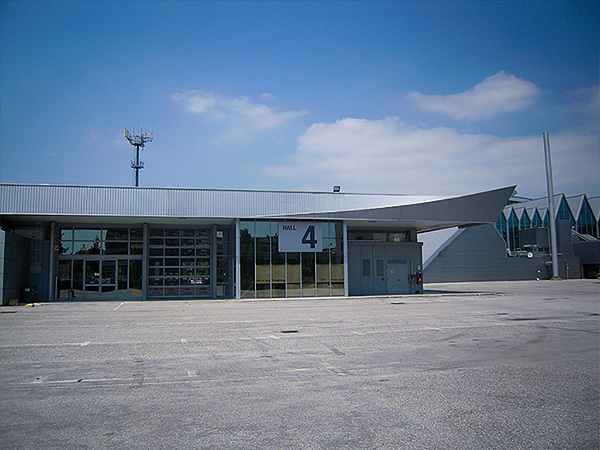 The large outdoor area is used both as an exhibition area and as a parking space for exhibitors, with capacity for up to 1,200 spaces. 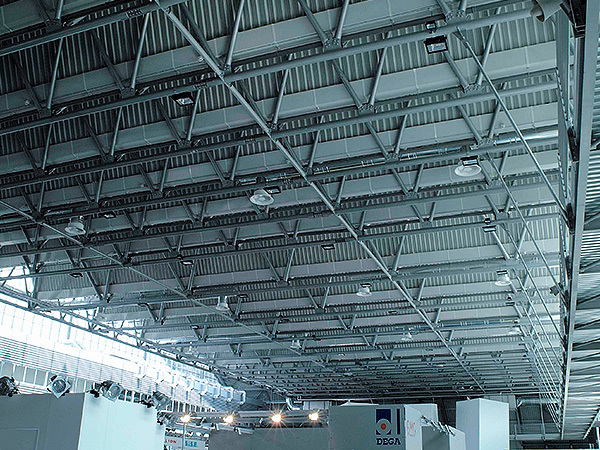 The entire exhibition area is equipped with electricity and hydraulic connections, Wi-Fi connection . 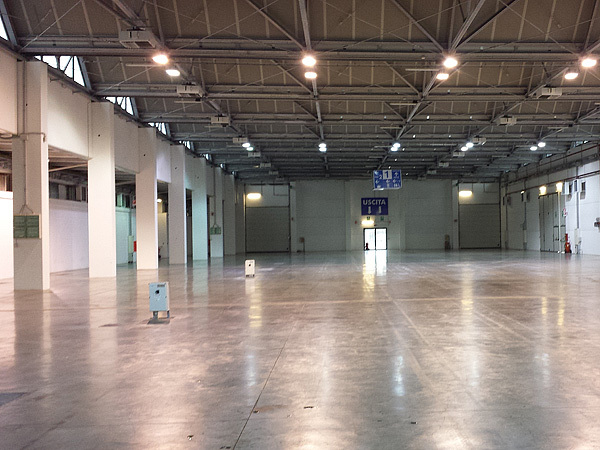 The main entrance is divided into a large entrance hall and a spacious area for registration. 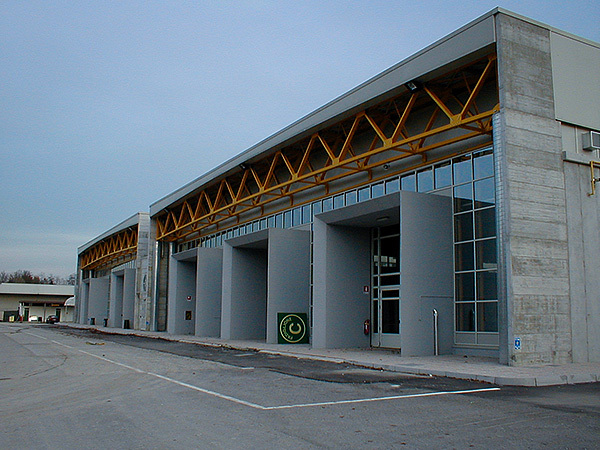 The exhibition complex includes several halls of different sizes and capacities, fully equipped for congresses, conferences, meetings, seminars and conventions. 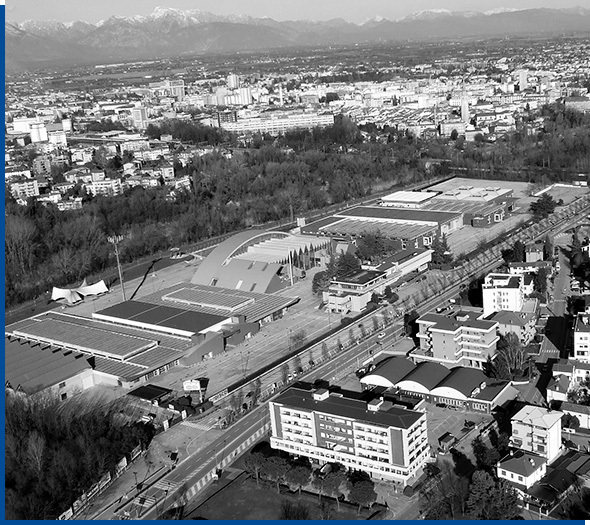 For more information please visit the Pordenone Congressi section. 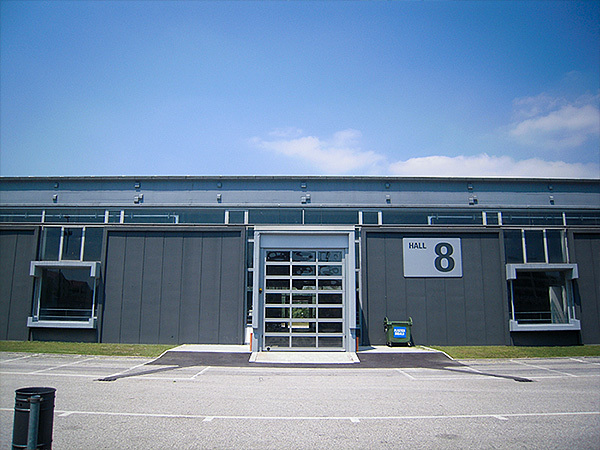 Hall in concrete with walls with grey exposed brickwork, aluminium shutters with side-sliding and tilting loading/unloading gates. 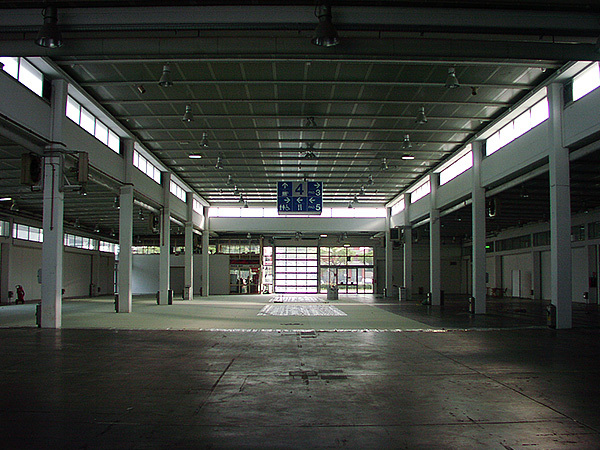 Grey concrete floor. Facilities: Bar, Telephone and Wi-Fi and Cable connection network, electricity, power force, water, toilets. 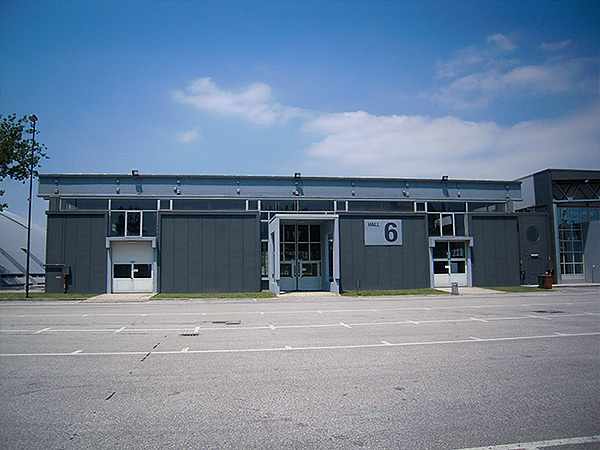 Hall in concrete with walls with grey exposed brickwork, covered on longitudinal walls with white wooden panels, aluminium shutters with side-sliding loading/unloading gates. 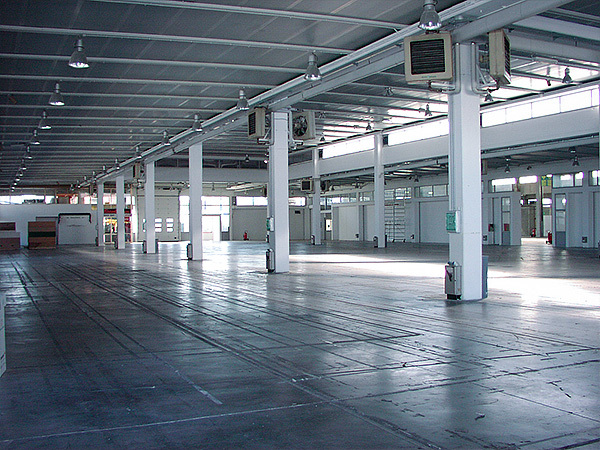 Facilities:Bar, Telephone and Wi-Fi, electricity, power force, water, toilets. 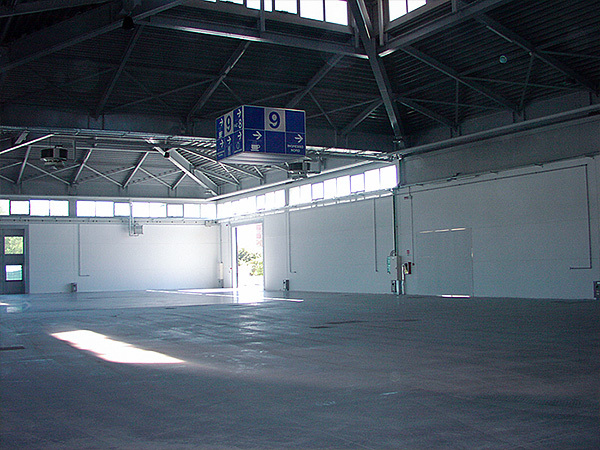 Hall in concrete with white painted walls with exposed brickwork, aluminium shutters with tilting loading/unloading gates. 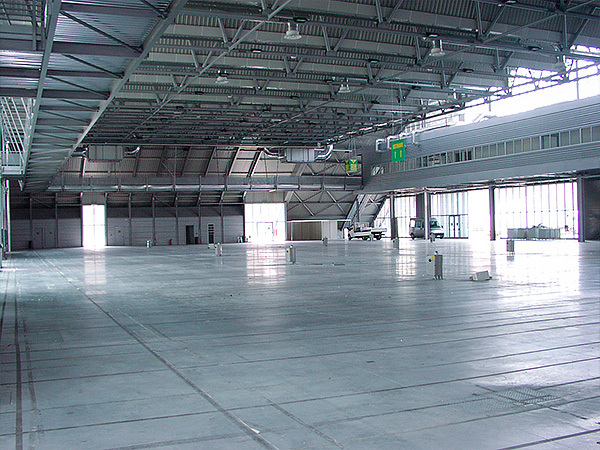 Smooth grey concrete floor. 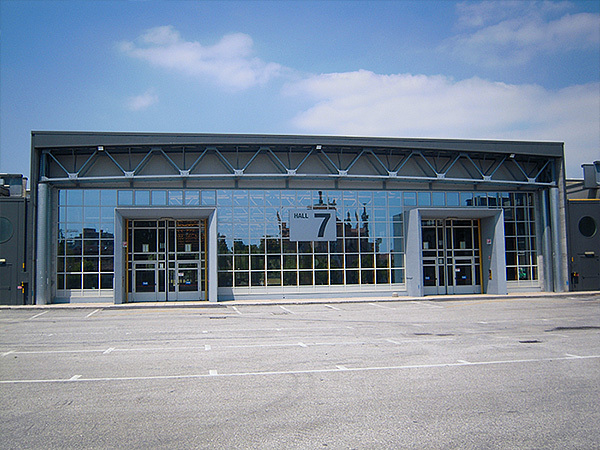 Steel/glass Hall with glass walls, aluminium shutters with side-sliding loading/unloading gates. 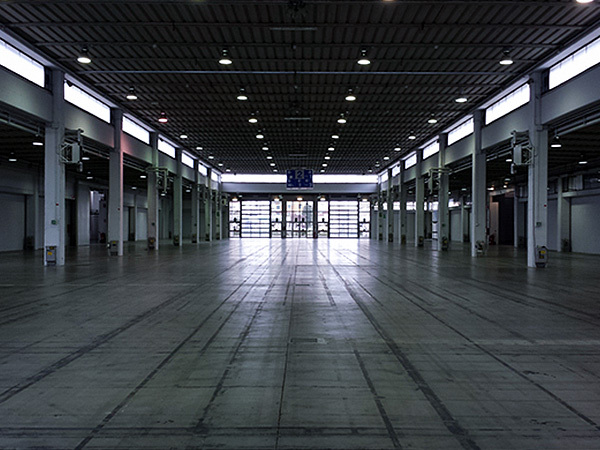 Smooth grey concrete floor. 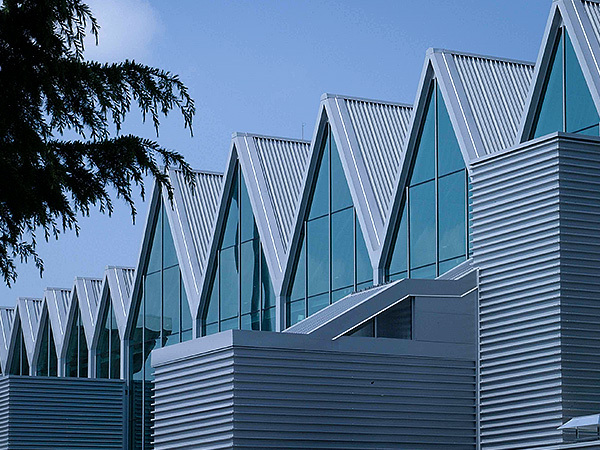 Facilities: Self- service restaurant, Bar, Telephone and Wi-Fi, electricity, power force, water, Tobacconist, Infodesk, Toilets. 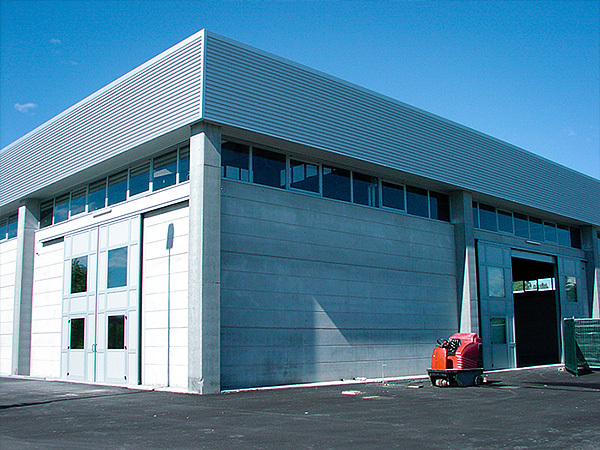 Concrete/glass hall, aluminium shutters with side-sliding loading/unloading gates. 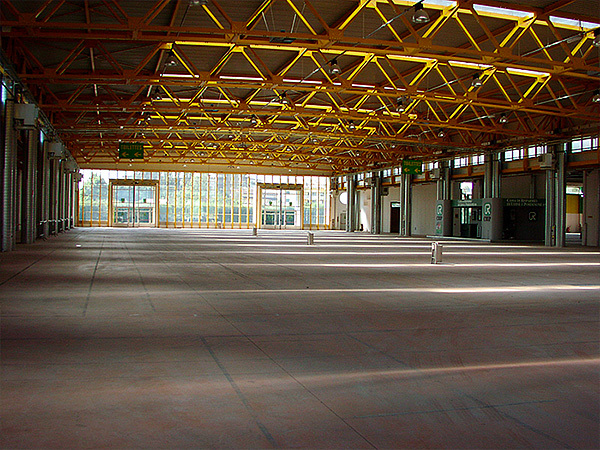 Peach-colour smooth concrete floor. 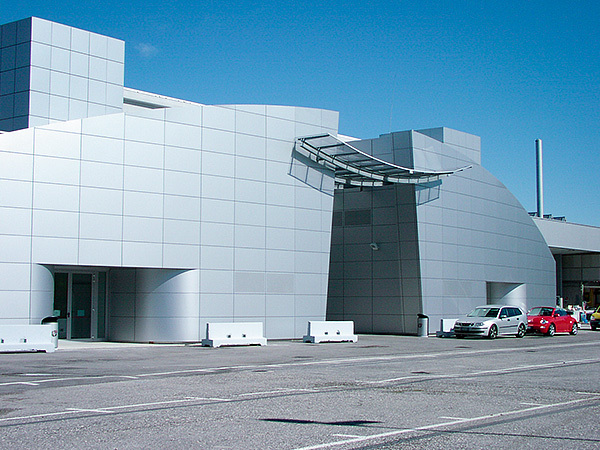 Steel/glass Hall with white concrete walls. 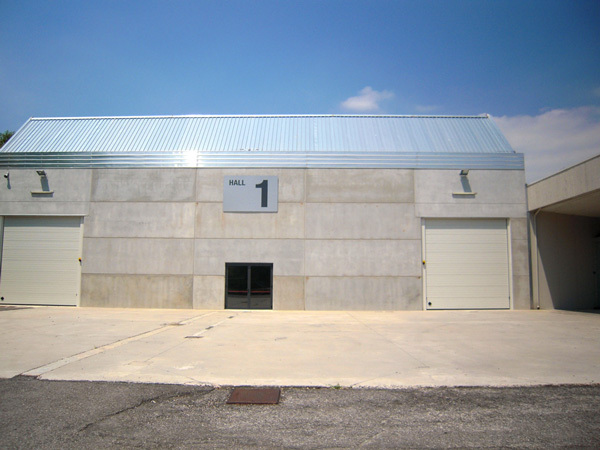 Metal shutters with sliding loading/unloading gates. 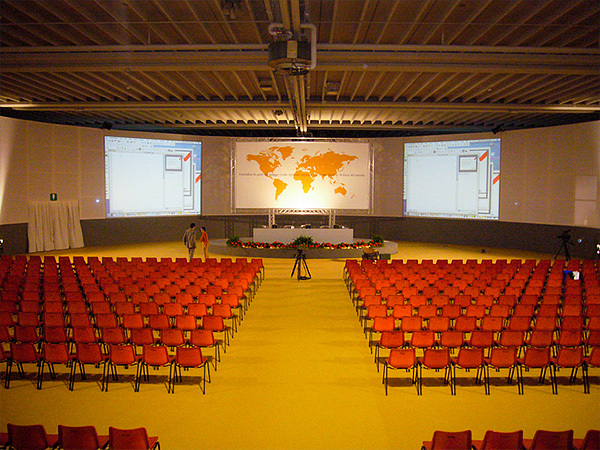 Peach-colour smooth concrete floor. Facilities: Bar, Telephone and Wi-Fi and Cable connection network, , electricity, power force, water, Toilets. 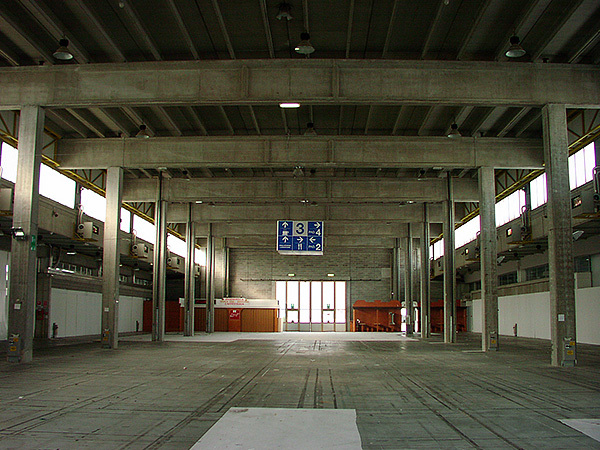 Concrete Hall with metal cover This Hall, located near the main entrance is new (built in September 2006). 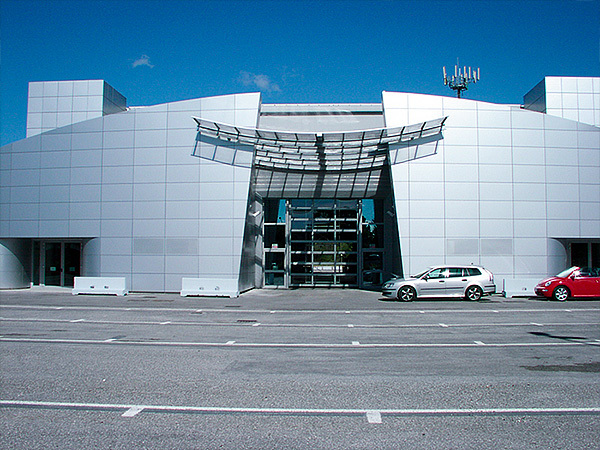 Facilities: Telephone and Wi-Fi and Cable connection network, electricity, power force, water.